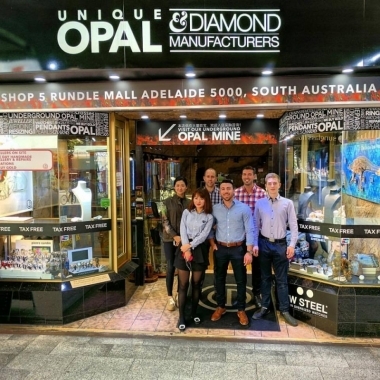 Unique Opal Diamond Mine, Adelaide, South Australia. Information, Photos and Reviews. 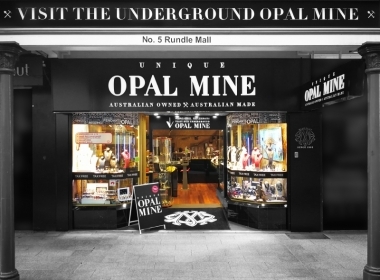 Unique Opal mine is a huge tourist attraction and that special place to purchase that unique opal. 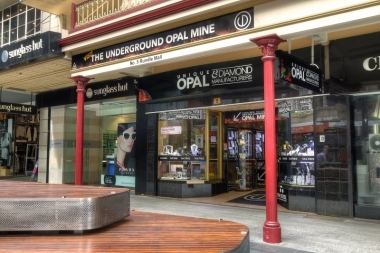 Unique Opal Mine has a beautifully created underground opal mine for you to explore, bringing to you the “Coober Pedy Experience” with the convenience of an Adelaide Rundle Mall location. 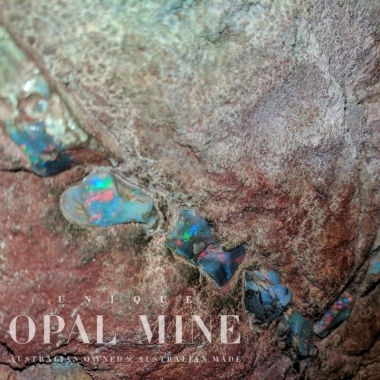 In our mine you can see the veins of real opal as they would naturally occur in the rock and explore different regions of opal mining throughout the Australian opal fields. 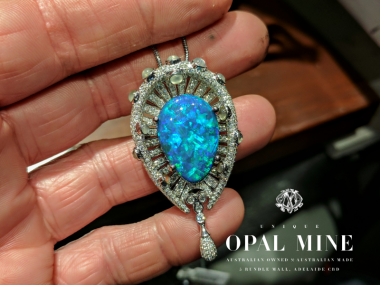 Take a few minutes to sit down and watch our short documentary on opals, explaining the different types, the regions where they are found and how they are formed. 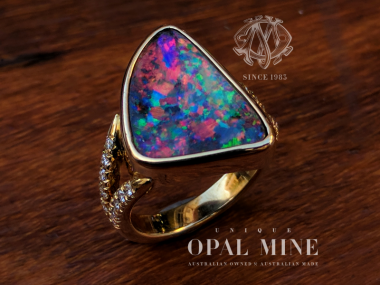 If you are lucky, one of our friendly jewellers and opal cutters may be in the process of cutting and polishing the raw stone on the equipment located in the mine area, and you can watch this amazing process of shaping and polishing these beautiful opals first hand! 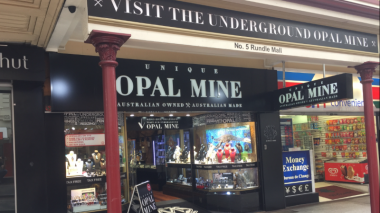 Unique Opal mine also has a 100 million year old Opalised Dinosaur Plesiosaur on display in store. 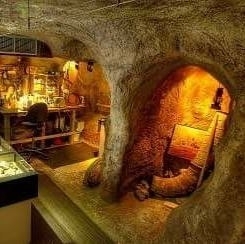 This is one of Eight in the world ever discovered. 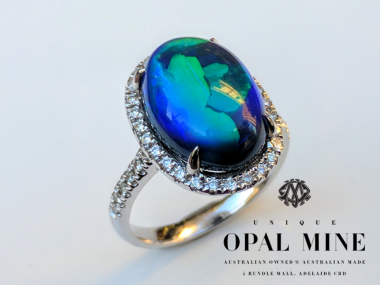 In addition to our beautiful opal jewellery, our expert jewellers can custom make jewellery in any gemstone and metal. If you are searching for something Unique for your special occasion, come and see us. We can work with you on the design and offer a wide selection of stones for you to choose from. Our jewellers work in store, so you can watch them craft raw material into works of art. 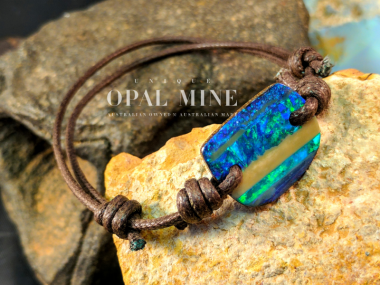 Unique Opal Mine offer a lifetime international guarantee on all purchases. 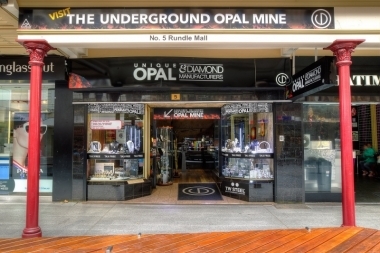 Nobody has reviewed Unique Opal Diamond Mine yet, Be the first. You are submitting a booking enquiry. 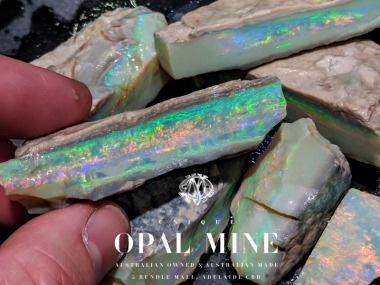 Unique Opal Diamond Mine will then contact you by email with details of availability and prices.